Zang Di 臧棣 (pen name for Zang Li), born in Beijing, China in 1964, has been publishing in journals since 1984. He obtained a BA, MA and PhD in Chinese Literature from Beijing University. After working as a journalist for three years, he started a teaching career and has been teaching Chinese literature and poetry at his alma mater since 1996 (also as a visiting professor in the US in 1999-2000 and 2009, and in Japan in 2006 and 2012). Author of eight volumes of poetry, his collected poems and essays,Horseman and Soymilk, was published by the Writers’ Press in 2015. He has been chief editor of Chinese Poetry Review and has edited many important series of poetry books in the country. He has won many national literary awards including “The Critic of the Year” from Southern Literary Journal (2005), Ten Best Young Poets (2005), Ten Best Poets (2006), Ten Best Critics (2007), the Grand Poetry Award from the Pearl River International Poetry Festival (2007), First Literary Award from Yangtze Literature (2008),“Poet of the Year” from the Media Chinese International (2009), first Su Manshu Poetry Award (2010), and Poetry Award from the Arts Beijing (2013). Some of his poems have been translated into other languages and published widely. He has been invited to many international literary festivals and as a special guest at the opening night of the Berlin Poesiefestival (2015). Ming Di is a Chinese poet and translator, author of six collections of poetry in Chinese and four books of translation. She taught Chinese at Boston University before moving to California where she resides now. 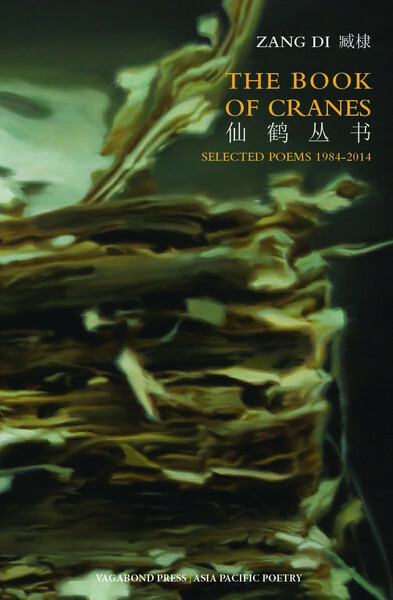 She edited and co-translated New Cathay: Contemporary Chinese poetry (Tupelo Press, 2013, co-published by the Poetry Foundation); she also co-translated Empty Chairs (Graywolf Press, 2015). She received Henry Luce Foundation Fellowships for translation through Vermont Studio Center in 2013 and 2015. Neil Aitken is the author of The Lost Country of Sight (winner of the 2007 Philip Levine Prize for Poetry) andBabbage’s Dream(Sundress Press 2016), as well as the founding editor of Boxcar Poetry Review, and a contributing editor for Poetry East West. A Canadian of Chinese and Scottish descent, he presently lives in Los Angeles where he recently completed a PhD in Literature and Creative Writing at the University of Southern California. Cover image: © Xiaoze Xie, Chinese Library No. 35 (detail), 2007. Oil on canvas, 48 x 66.5 inches. Courtesy of the artist and Chambers Fine Art, New York.